LegalZoom. Are you the next great entrepreneur? Form an LLC, register your Trademark and protect your products with LegalZoom. Not a law firm, but you can get personal advice from LegalZoom’s network of independent attorneys in most states. Enter promo code “TWIST” at the checkout for more savings! News Roundtable! 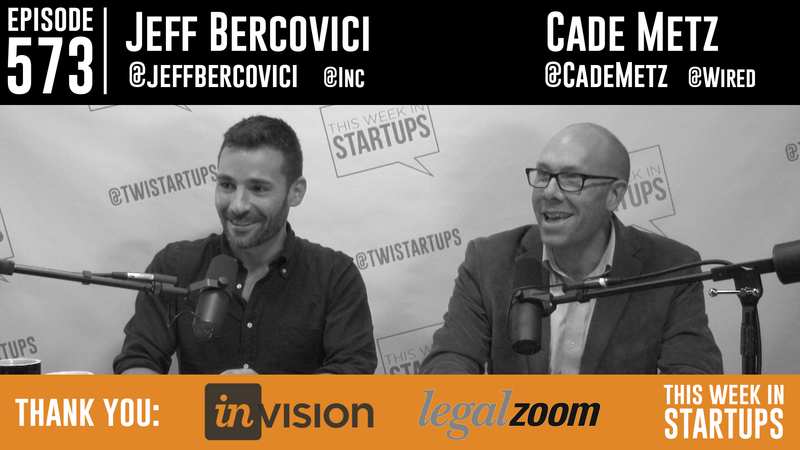 Joining Jason today is Cade Metz, Senior Writer at Wired, and Jeff Bercovici, SF Bureau Chief for Inc. It’s been an eventful couple weeks to say the least, and our panelists get right into. Kicking off is all things Google & Alphabet, which Cade covered extensively, into the Amazon controversy and work culture debate, next WTF is up with the Stock Market!? including, naturally, the latest on are we in a bubble-or-what, Ashley Madison hack scandal continues to drop jaws and erode any remaining illusions of online privacy, and the ethics of watching violent, terrorist-generated content online.